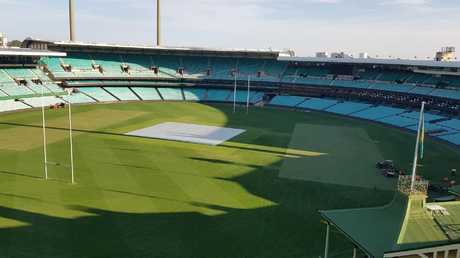 SCG officials are confident the Roosters' opening round NRL clash with the Rabbitohs won't be a repeat of the shocking pitch conditions which headlined a Super Rugby match between the Waratahs and the Reds last week. About 3000 sqm of turf had to be replaced after sections of the SCG were severely chopped up by the scrums between the two rugby sides. Ground staff were even forced to use shovels and rakes during the match to patch up the shredded playing surface. New turf has been laid at the SCG. 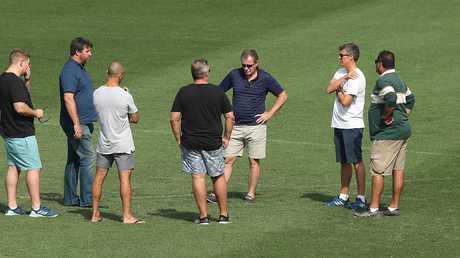 An SCG spokesman said replacement of the turf was completed by a team of 20 people on Tuesday afternoon and an NRL inspection conducted shortly after raised no concerns about the playing surface. "The compromised turf was milled on Monday and came from rye-dominated areas with poor root structure," the spokesman said. "The new turf is Matrix Ready to Play and comes in one-tonne rolls and is grown at our turf farm near Windsor. "It is called Ready to Play because it is ready to play one day after installation." 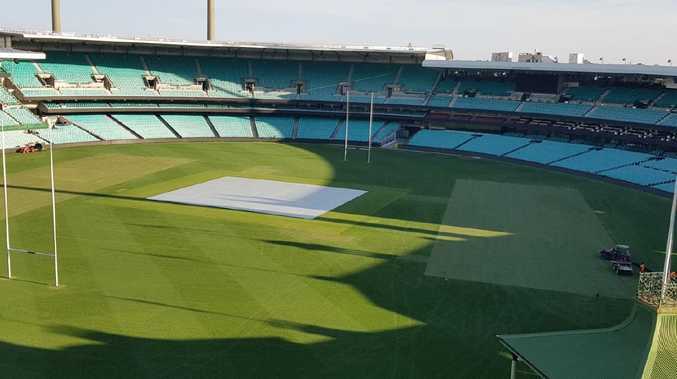 Assertions from the SCG officials follow concerns raised on Tuesday by respected rugby league medical expert Dr Ameer Ibrahim that the game's "big-stepping" players like Greg Inglis and Latrell Mitchell would be at risk on the unstable surface. Dr Ameer Ibrahim News Corp he did not feel comfortable that the ground would be completely safe in time for kick-off. "I just find with loose turf sometimes it slips and then it stops and that is just horrible when you put the weight on the knee in that position, particularly if you are stepping off that leg and the ground gives way," Ibrahim said. "You get issues with high ankle sprains and then you can get issues with the medial ligament and worst case scenario ACL (knee injuries). 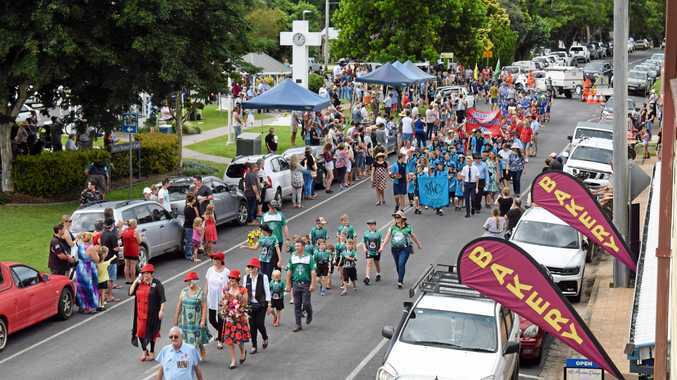 "It is the big steppers, not the little ones, the big steppers (at greatest risk), your Latrell Mitchells and Joey Manus that I would be concerned about." The Roosters take on the Rabbitohs at the SCG on Friday from 7:55pm.